Referrals have been a staple of the doctor-patient relationship since the beginning of modern medicine. Patients depend on doctors to send them to the best complementary care providers. After all, it is doctors who are in the best position to understand what their patients need and which care providers might be able to best meet those needs. Certain kinds of referrals, though, are prohibited by law. When one individual or business pays another to send them patients, that’s called a kickback, and it can get both parties in a lot of trouble. Florida has several anti-kickback statutesthat severely limit health care providers’ ability to refer patients to one another — even when those referrals might genuinely make sense. Similar federal provisions apply in Florida too. These laws carry steep penalties and are enforced aggressively, creating an atmosphere of uncertainty and paranoia for medical professionals who just want the best for their patients (and who already deal with excessive liability concerns as it is). Anyone facing a criminal charge or investigation pertaining to the Florida anti-kickback statutes should seek legal guidance from an experienced health care fraud defense attorneyas soon as possible. It’s easy to see why a kickback, in its purest and most basic form, would raise eyebrows. No one wants a doctor sending patients to the highest bidder at the expense of the patient’s health. Likewise, insurance companies and Medicare / Medicaid are concerned that doctors might form kickback alliances, referring patients to one another when those referrals aren’t really warranted, all so the doctors can bill for more money. Many supposed “kickback” cases aren’t nearly as sinister as those scenarios sound, however. For example, what if a doctor sends her patient to the very best surgeon in the state, but the doctor also happens to own a little bit of stock in the facility where that surgeon operates? What if the doctor wasn’t even aware of that connection (because she owns stock in manybusinesses, for instance)? Is that a kickbackwithin the meaning of the law? Alternatively, consider the not-uncommon scenario of a doctor who rents office space within a hospital facility at a reduced rate. If that doctor has a pattern of referring patients to that same hospital (a pattern that one might reasonably argue makes good geographic sense, if nothing else), is that a kickback — even in the absence of any formal agreement between the hospital and the tenant? Sadly, in both the hypotheticals above, many prosecutors would answer yes. Florida law enforcement agencies have become extremely aggressive in charging and prosecuting health care professionals under the state’s anti-kickback statutes. Federal prosecutors have been equally aggressive for years, and in fact, two of the nation’s nine federal Medicaid Fraud Strike Force Offices are located in the Sunshine State (one in Miami and the other in the Tampa Bay area). State and federal law enforcement frequently work together in investigating doctor referrals in Florida. It is surprisingly easy to violate the Florida anti-kickback statutes(or at least to create the appearance of having violated them) without realizing it. As you can see, the language is rather broad and leaves the door open for overly aggressive law enforcement. If prosecuted, your charges might cite Section 456.054 along with some of the other statutes below. An experienced health care fraud defense attorney at Oberheiden, P.C. can fight against these charges and hold prosecutors to the very highest burden under the law. Found in Section 817.505 of the Florida Statutes, the Florida Patient Brokering Act has become a favorite hammer for law enforcement agents throughout the state. It makes it a third-degree felonyto offer, solicit, or receive any form of kickback whatsoever in exchange for patient referrals or patronage, or to engage in any kind of split-fee arrangementin exchange for referrals. The statute also extends to those aiding, abetting, advising, or otherwise participating in any of the Act’s prohibited conduct. Investigators have been especially fond of using the Florida Patient Brokering Act against drug treatment centers, though it is applied in many other situations as well. Because patient brokering is a third-degree felony in Florida, the penalties can be especially tough. They can include up to five years in prisonand/or $5,000in fines (in addition to civil penalties and administrative fines). Fortunately, the Patient Brokering Act includes a number of exceptions and safe-harbor provisions. Unfortunately, you can’t count on investigators or prosecutors to give you the benefit of the doubt. An experienced health care fraud defense attorney, however, can argue that the facts of your case meet the exceptions as outlined in the statute. We urge you to contact Oberheiden, P.C. to find out whether they might apply to you. Section 395.0185 (Hospital Rebates)— Applies to kickbacks or rebates for patients referred to a “licensed hospital facility,” a term which often includes mobile surgical centers. Section 465.185 (Pharmacy Rebates) — Applies to kickbacks or rebates for patients referred to any registered pharmacy. Section 400.176 (Nursing Home Rebates) — Applies to kickbacks or rebates for patients referred to a nursing home in Florida. Section 400.17 (Nursing Home Solicitations) — Applies to certain kinds of kickback and solicitation involving nursing homes. Section 458.331(1)(i) — Gives authority for Florida medical licensing boards to take disciplinary action and/or deny licensure to providers who engage in prohibited kickback conduct. Section 459.015(1)(j) — Extends similar authority for taking disciplinary action in cases involving osteopathic medicine. Section 409.920(2)(a)(5)— This provision is essentially a Medicaid-specific version of the general Florida anti-kickback statute. Who Gets Charged with Kickback Crimes in Florida? Prosecutors go after convictions with fervor. 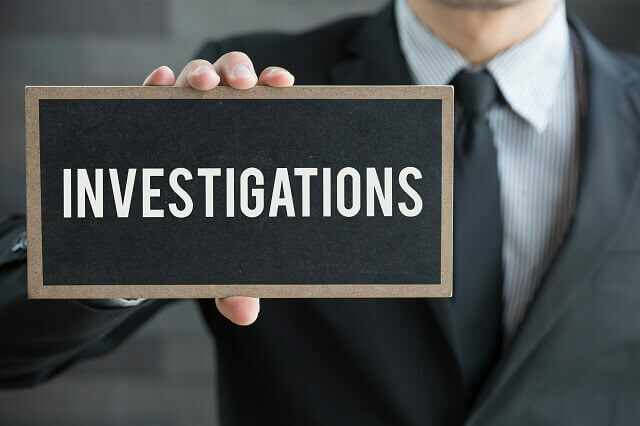 From the moment you receive your first letter or contact from a state law enforcement agent, you should proceed as if an investigation against you is already underway. In all likelihood, it already is. Oberheiden, P.C. is a health care defense law firm with extensive experience in this highly specific and complex area of law. We represent doctors, hospitals, drug treatment centers, and medical practices all across the country, including in Florida. We don’t adopt a “compromise at all costs” philosophy, nor do we take the easiest way out. Instead, we’re here to get the government off your back, clear your name, and bring these invasive audits to an end as quickly as possible. The government will be aggressive in building a case against you. You deserve to have an equally aggressive defense team on your side. That’s what you’ll get at Oberheiden, P.C.. If you are being charged with violation of the Florida Patient Brokering Act or any other Florida anti-kickback statutes, please understand that time is of the essence. The sooner you get legal representation, the better. While you should never assume that it’s too late to contact an attorney, as a general rule, we can be mosteffective by getting involved early in the process. Please contact us online or by phone right away. Our lawyers are standing by 24/7, seven days a week, even on weekends. Call 888-356-4634 today. Florida Health Care Kickback Defense Attorney – Oberheiden, P.C.